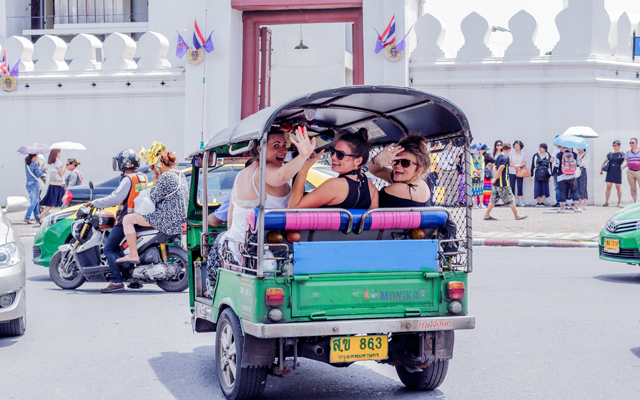 Thailand’s tourism officials are looking at introducing compulsory travel insurance for international visitors in the near future, especially as a recent spate of accidents involving tourists have cast the spotlight on the country’s safety and security records. Surging visitor numbers into Thailand has intensified the challenge of unpaid medical treatment fees racked up by foreign visitors while vacationing in the country, Thailand’s minister of tourism and sports Weerasak Kowsurat shared in a recent interview with TTG Asia. “I’m introducing a new legislation, probably within (this year or next), to require self insurance for all arrivals into Thailand – it will be one or two dollars more for each person,” said Weerasak. “This common pool of money will be used to buy one insurance policy (to cover all international visitors),” he added. “We are barred by the law to use our budget to buy insurance policies for international arrivals. The proposed mandatory travel insurance policy has received positive reception from tour operators and agents, although it has opened up questions on how the requirement will be implemented. Destination Asia Thailand, general manager, Philip Wigglesworth, said: “(Travel insurance) should be compulsory for each visitor so as not to be a burden on the visiting country. We all have to be responsible visitors and most reputable travel insurance suppliers already offer basic cover for low-risk activities. Sharing similar sentiments, David Kevan, partner and product person at UK-based Chic Locations, expects most UK clients arriving into Thailand to have comprehensive insurance including medical. Most of these policies would exclude activities like rock climbing, sea and sky diving, and ziplining, and therefore he suggested that the mandatory insurance to be included within the activity prices. Although Kevan expects possible “short-term” issues in implementation, the policy roll-out is likely to be “seamless” once clients become fully aware of the stipulation.